If you spend time observing the “vaccine debate” (it’s not a debate), you’ll hear every dumb argument to deny science. 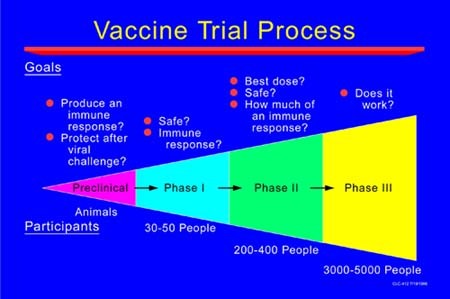 But one thing that you’ll see repeatedly from the antivaccination cults are that they would support vaccinations if there were better vaccine clinical trial design. The problem with the cult’s demand for better vaccine clinical trial design is really one of several moving targets for their denialism, relying on a form of the Argument from ignorance, claiming that if we can’t absolutely “prove” that vaccines are safe, then it must be absolutely unsafe. For example, there are literally thousands of articles, ( an example here and was discussed here), that actually provide overwhelming evidence of the safety and effectiveness of vaccines using real science, real statistics, and real hard work. The antithesis of the fake science, bogus statistics, and 2 hours of Google.